Thanks to everyone who attended our Health and Wellness Fair! We had such a great time teaching about healthy lifestyles! Congratulations to our jump rope challenge winners! We hope you all will implement what you learned from the day! 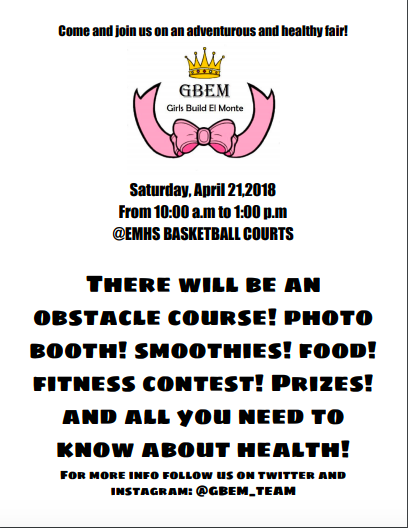 We will be having our 2nd Annual Health & Wellness Fair on Saturday, April 21st, 10AM to 1PM! Stop by for some healthy recipes, tips on stress relief, an obstacle course, and an opportunity to meet the great staff of Day One! 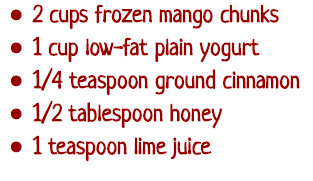 On Tuesday February 6, 2018 members Stephanie and Denisse gather up the taste of a tropical paradise in a cup for students during lunch! They were even able to gather soccer athletes to come and try this healthy beverage before their big game! On Friday January 26, 2017 our members Daisy and Jackie handed out sweet samples of their amazing blend during lunch as they kick off our very first pop-up booth! Feel free to take our survey! Taking our 2 minute survey can help us understand and create new ways to help out our school and community about how to motivate people to change their healthy habits.
" The End of the Santa Fe Trail". 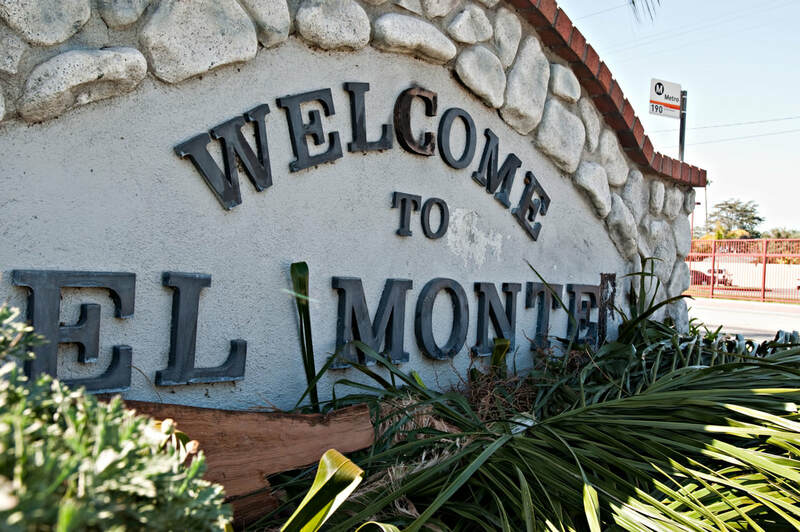 El Monte is a heavily Hispanic suburb of Los Angeles. A place where income wages are low for large families and the cost of living is 38% higher than average. Making eating healthy a challenge when it comes to being to afford a healthy lifestyle. 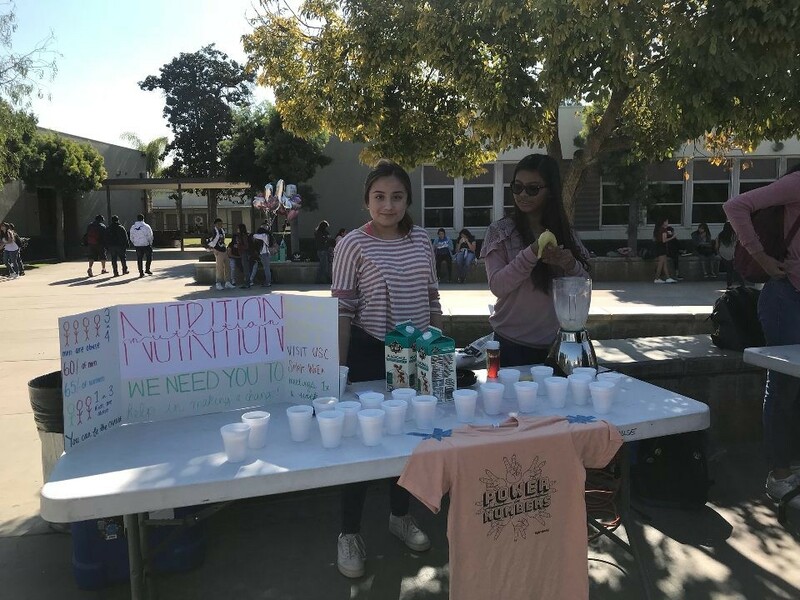 ​The GBEM is a group of girls from El Monte High School, hoping to create a healthy change to the community. We come together to educate and transform our community on how to commence healthy food choices that will benefit and build a healthier environment. Eating too many carbs and sugar can decrease sensitivity to serotonin, which leads to bad moods, and eventually obesity. There are 2 main aspects of keeping a healthy mind. 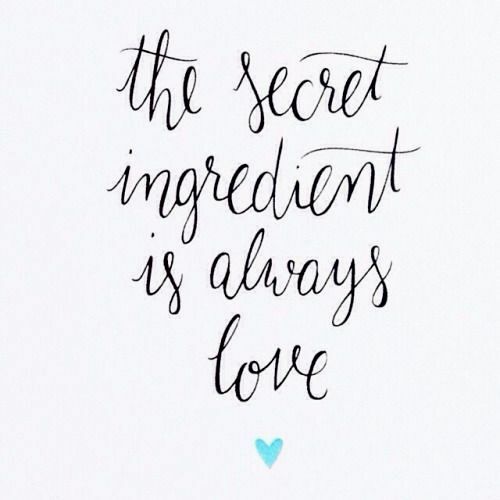 The first involves physical care through healthy eating and nutrient supplementation. The other part consists of non-physical aspects that have just as important a role in keeping a healthy mind and brain.